An alumna’s transformative gift encourages leadership in health care. Patricia A. Chin remembers flipping through her fundamentals of nursing textbook nearly four decades ago. Back then, the books only reached a few hundred pages. Now, they’re in the thousands. Curriculum evolved, training techniques were tweaked and the role of nurses expanded. But the alumna’s commitment to supporting California State University, Los Angeles—and her love for clinical practice and teaching— never wavered. She earned a Bachelor of Science and Master of Science in nursing at Cal State LA and taught for many years, later serving as director and, upon her retirement, professor emerita of the School of Nursing. Today the school is named the Patricia A. Chin School of Nursing, following a $7 million gift from the family of Patricia Chin, who holds a Doctor of Nursing Science from UC San Diego, and her husband, Dr. William Chin, who was a founding partner and executive medical director of medical group HealthCare Partners, LLC. In December 2016, University officials announced the gift, the second largest in University history. The Chin family wanted to give back to significant institutions that have played major roles in their lives. For Patricia Chin, that was Cal State LA and its School of Nursing. “We were just looking for a way to help continue the excellence of the program,” she says. From her first days training and tending to patients as a nurse on the units of District of Columbia General Hospital in Washington, D.C., the importance of hands-on experience in nursing education has been clear to Patricia Chin. Students learn best when they can apply skills in real-world situations. That knowledge stayed with her after she and her husband moved to California in the 1970s. There, she finished her Bachelor of Science in nursing at Cal State LA and went on to mold future nurses as a faculty member. 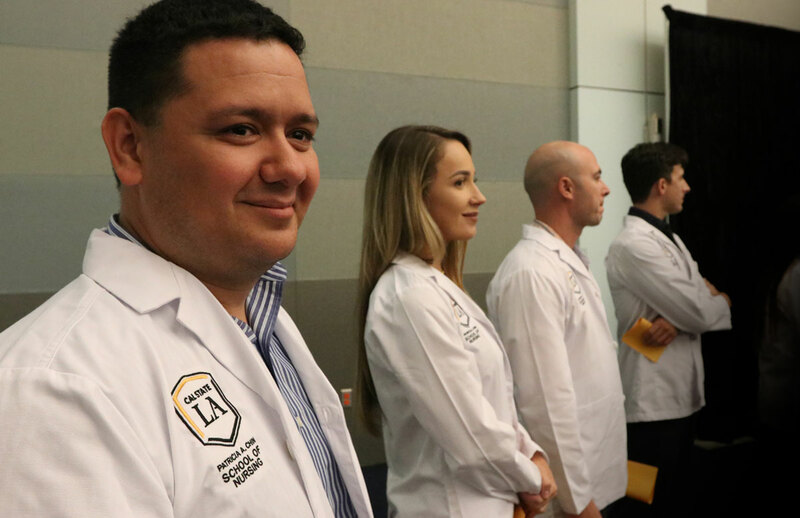 A portion of the Chin family’s donation will go toward just such hands-on instruction in Cal State LA’s Nursing Simulation Laboratory, helping pay for renovations and updates to the state-of-the-art facility and partially funding a full-time director for the laboratory and education for the clinical faculty. Nurses will be catalysts for change, the Chins believe, as the U.S. health care system is improved to better the quality and access to care for patients. 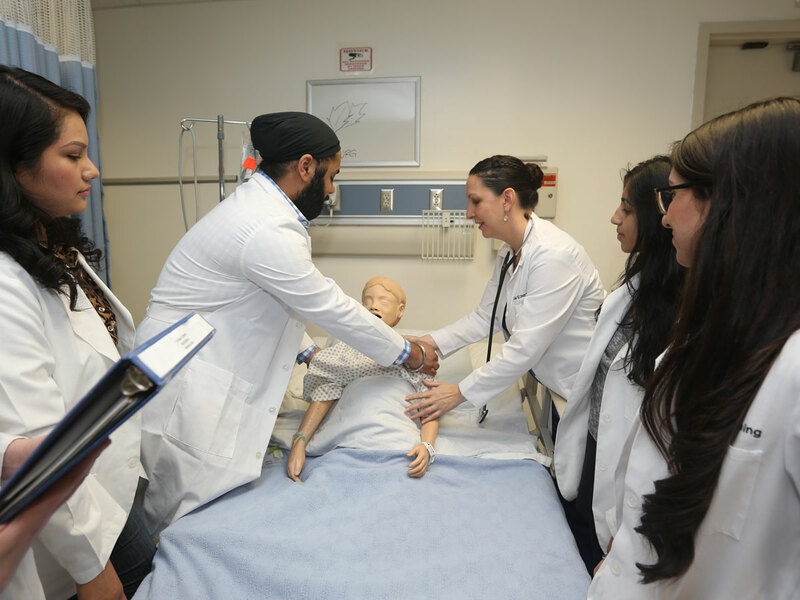 Within the walls of Salazar Hall, where the lab is housed, nursing students at all levels of the program work through life-like scenarios using high fidelity manikins that produce breath sounds, heart tones and palpable pulses. The renovations will include features such as technological upgrades, observation decks that allow students to observe their peers in simulated scenarios, and computer labs for graduating students studying for their licensing exams, said Lorie H. Judson, a professor emerita in the Patricia A. Chin School of Nursing who was director of the program during plans for the upgrades. The remaining portion of the donation will establish the Chin Family Institute for Nursing. The institute will focus on providing continuing education for nurses in the community, facilitating leadership in the profession, and having a voice in regional and national health care policy, said Judson, who is serving as the inaugural executive director of the institute. Patricia Chin credits her many mentors throughout her time as a student and faculty member at Cal State LA with instilling in her independence and forward-thinking. 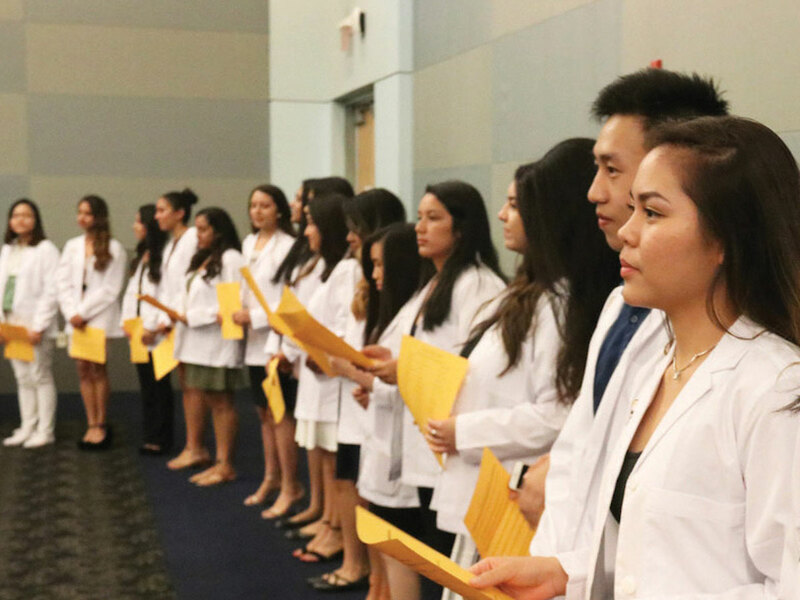 More than 6,800 students have graduated from Cal State LA’s nursing programs, with many going on to hold leadership positions in the field throughout Southern California. 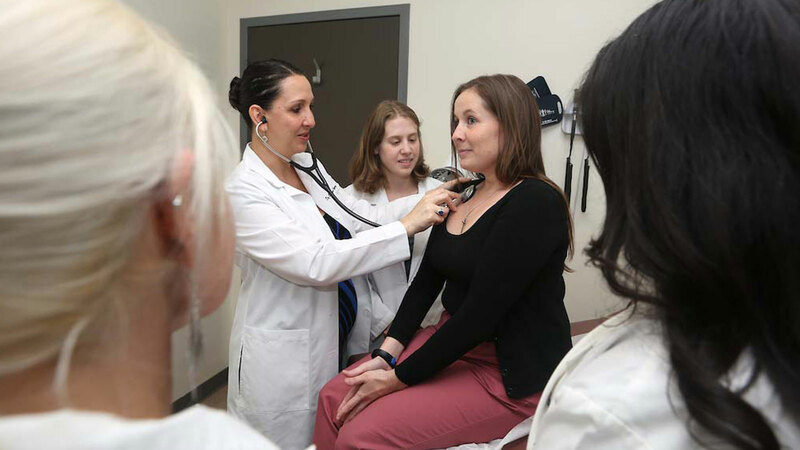 Ron Vogel, dean of the Rongxiang Xu College of Health and Human Services, noted that the school’s nursing master’s degree program has been ranked consistently during the past decade as one of the best in the nation by U.S. News & World Report. 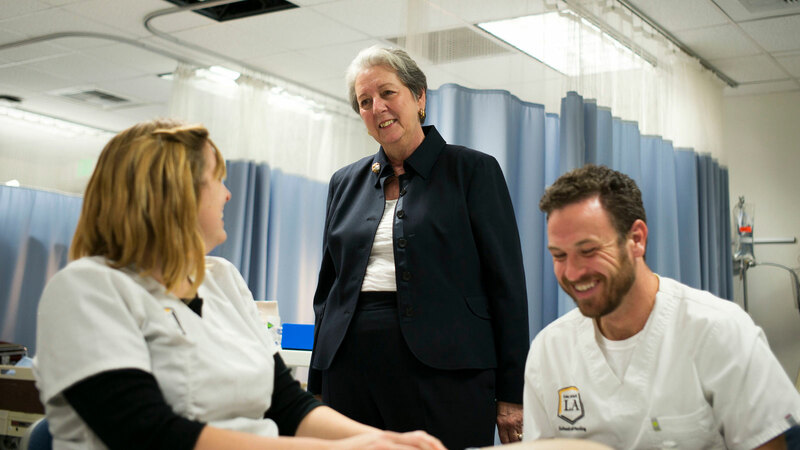 “This extraordinary gift will allow our prominence to grow, help faculty to better prepare students for nursing careers and advance nursing practice throughout the region and nation,” Vogel says. Patricia Chin and her husband share a passion for improving the health care system. Nurses will be catalysts for change, the Chins believe, as the U.S. health care system is improved to better the quality and access to care for patients. And they hope their gift will help continue to foster the University’s excellence and role in that conversation in the years to come. Captions (from top to bottom and left to right): Lead Photo: Patricia A. Chin visits with Cal State LA students in the nursing simulation laboratory. Photo 2 and 5: Nursing students stand together during their white coat ceremony. Photo 3: Patricia A. Chin, who holds a Doctor of Nursing Science, and Dr. William Chin in the Nursing Simulation Lab.